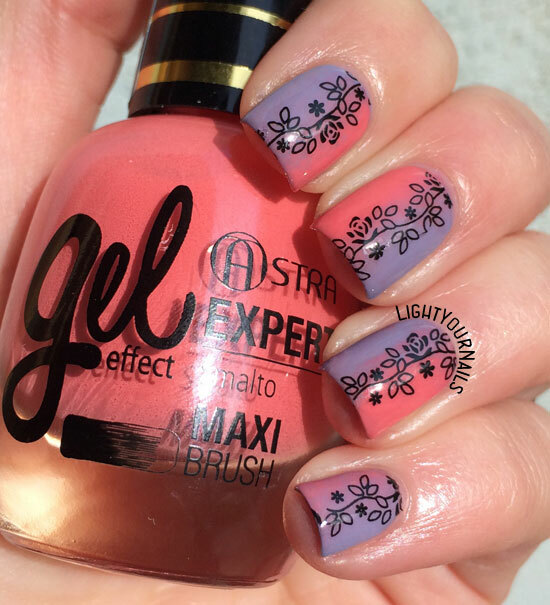 Astra floral Spring gradient manicure | Light Your Nails! This is so lovely and soft-looking! I need to try a lateral gradient. 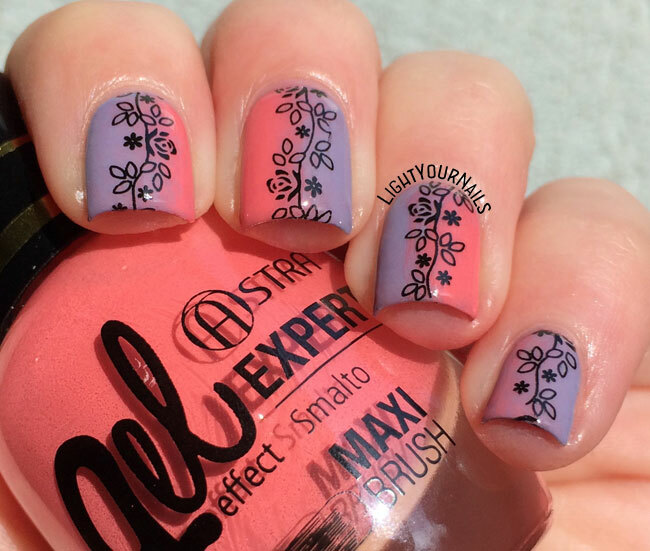 I love my Seche, too, but definitely not for nail arts! What imperfections in the gradient?! This is beautiful. I would have never thought to pair those 2 colors either. What flaws? I see nothing but magic. I love the simplicity and elegance, it's brilliant. I am SUPER in love with this. I really need to try a vertical gradient one of these days! Thank you Katherine! I love doing them this way every now and then! This is so pretty. I love the look of the peach and lavender together.